Delivery of effective case management is an essential component of the employment services contract delivery. A successful case management framework requires a comprehensive understanding of employment services practices, job seeker barriers and perceptions coupled with a solution-focused, client-centred approach. The coaching program aims to help you to understand and deal with the challenges of a modern-day client-centred employment service. Participants will acquire knowledge on how to engage with clients and to address their barriers within a pragmatic and easy to apply case management framework. Participants are expected to contribute to the discussion and to consider alternative and innovative approaches. The delivery of this coaching program requires “learning by doing”, and participants will be encouraged to offer scenarios for discussion. Each webinar session is expected to run for approximately 60 minutes including ample Q&A and discussion time. A PDF copy of the presentation will be distributed to all registrants. Once the series has been completed, participants will receive a Certificate of Completion. Sharon is a qualified human services program designer and lecturer with many years of experience in Human Resources. For the last 5 years, she has focused on researching and working with disengaged job seekers and their complex needs. Sharon combines clinical psychotherapy and professionalism with a natural and down-to-earth approach. 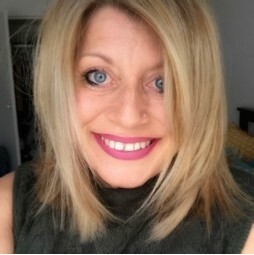 She is a qualified Drug and Alcohol Facilitator, Psychotherapist & Social Sciences Professional and has worked as a psychotherapist in employment services for over 8 years. As an expert in encouraging mandated and resistant clients to change, she keynotes at national conferences on topics of behavioural change, AOD, mental health and neuropsychotherapy.